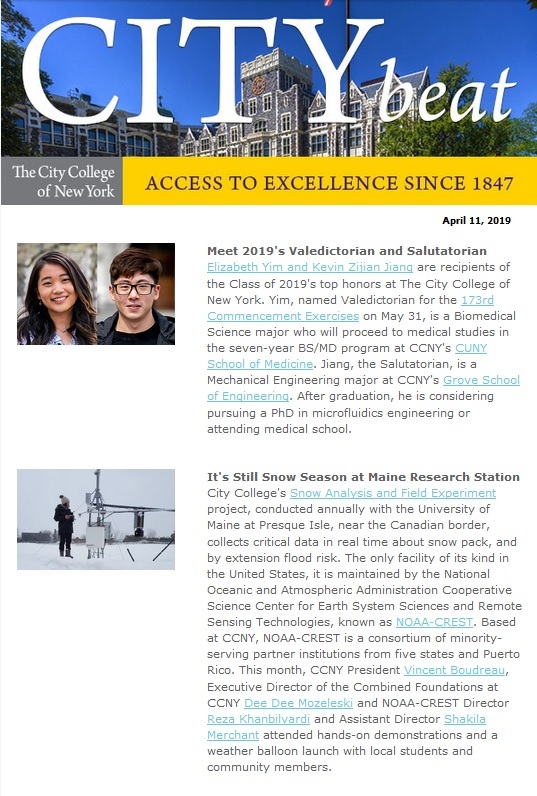 The City College of New York periodically shares education news on research, publications, achievements, community engagement and events. Browse current and past issues here. If you would like to receive City Beat in your inbox, it's easy to subscribe.